Nursing care and ongoing health monitoring are provided by caring and highly skilled staff members including Personal Support Workers and Registered Practical Nurses. Residents have access to a call bell system that allows them to request assistance from staff 24 hours a day, 7 days a week. Nursing staff will also communicate with the residents physician and multi disciplinary care team on behalf of the resident, when needed. Personal care, bathing, medication administration and vitals monitoring are just some of the nursing assistance included for each resident of Livingstone Manor. A housekeeper will enter each residents room on a daily basis to empty the garbage and change the towels. Once a week they will also do a full clean of the bedroom and bathroom. Bed linens will be changed once weekly and as needed. Personal laundry is done individually, once a week or when needed. Our housekeeping department also maintains the general cleanliness of the common areas and the rest of the home. The dietary department provides 3 home cooked meals each day, as well as a tea time daily and an evening snack. In the event of illness, staff will provide a meal tray to the resident at no additional charge. Some therapeutic diets as prescribed by a physician may be available on consultation. Additional fees may apply. 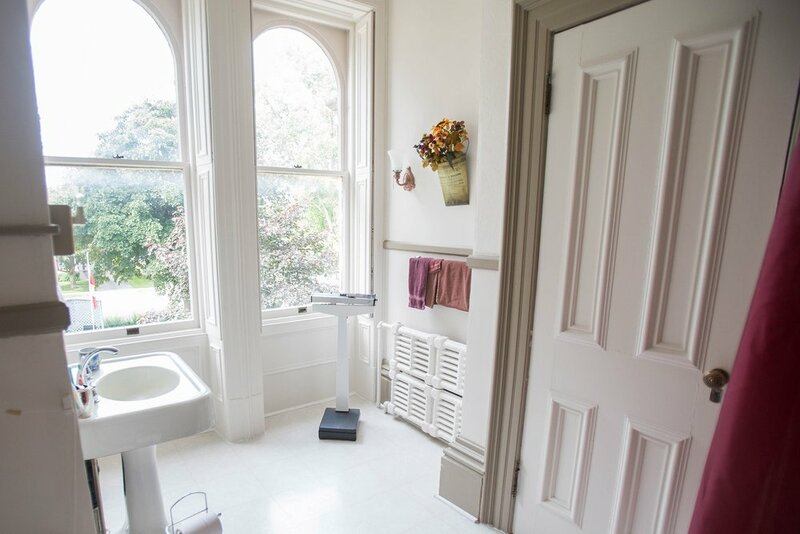 We offer 34 private rooms with private ensuite, to residents (including couples) who require daily assistance in order to complete their activities of daily living. There are rooms on all 3 levels of the home, each equipped with a 3-piece bathroom, a self-controlled thermostat and furniture. These spacious and comfortable rooms get taken care of to your standards. To help make you feel right at home, we have housekeeping services to keep the rooms clean and fresh, providing a healthy atmosphere within the Manor. Each room comes equipped with a 3 piece bathroom, a self controlled thermostat and furniture. Eastlink Cable Packages are available upon request and are an additional $40/month. Additional changes will apply for telephone, internet or other cable services. These would need to be arranged and paid by the resident individually, just as you would do at home. The difference between the Standard Private and the Deluxe Private rooms is strictly the size of the room. Deluxe Private rooms are slightly larger and have double closets. Standard Private rooms are only available to individuals, as couples stay in Deluxe private rooms only. NOTE: Please contact us for accurate pricing details. *Prices are inclusive of meals, care and services. Additional fee of $11.00 per month, per room is added to the monthly invoice as an RHRA administration fee. *Cheques are payable before the 7th of each month. We do not have direct deposit or automated withdrawal. We only accept cheques.